A beautiful young woodland dotted with ancient trees, this forest at Sandridge, between Harpenden and St Albans, comes alive in spring and autumn. Known for its stunning display of bluebells, it also hosts one of the most magical displays of autumn colour in Hertfordshire. Walk through majestic orange leaves, open grassland and wildflower meadows, and you’ll find a wealth of subjects perfect for macro, landscape and portrait photography. You can explore on foot, by bike or even on horse. 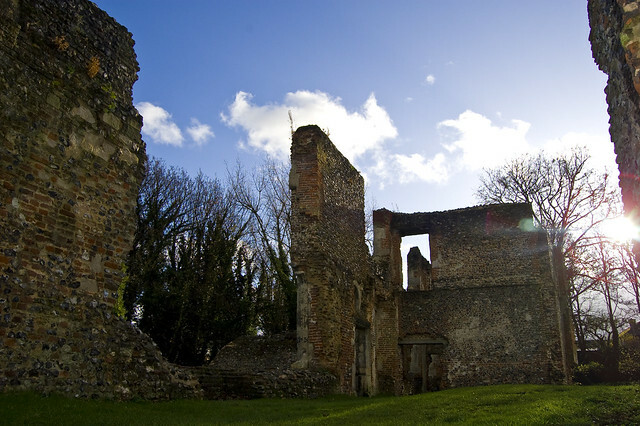 These grand ruins in St Albans are all that remain of a Tudor mansion, which dates back to 1560, itself situated on the grounds of a medieval nunnery dating to around 1140. This is somewhere a little different to explore, and you can be sure to avoid crowds. Surrounded by green spaces, allotments, and backing on to the river Ver, you can photograph both architecture and nature – here they are at one. 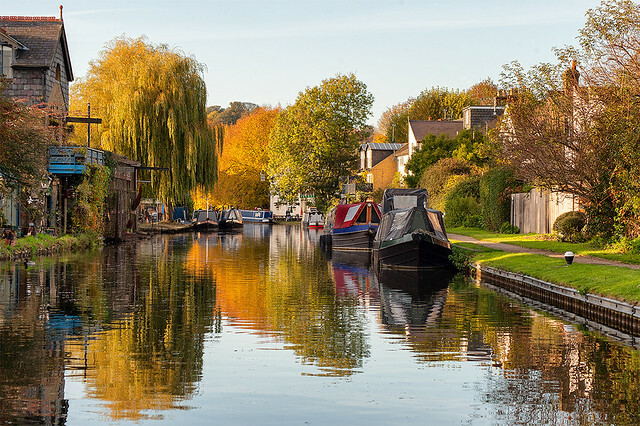 Connecting London to Birmingham, my favourite spot to walk with my camera on the Grand Union Canal is in and around Berkhamsted. A pretty market town, the waterways here take you parallel to the historic high street, near a castle ruin and through lush countryside. You can’t go wrong with any spot, just enjoy photographing the boats, architecture and wildlife you see as you go along. 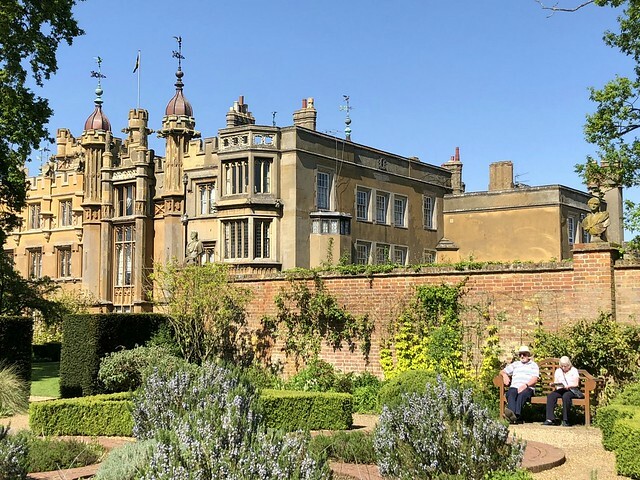 Be consumed by turrets and gargoyles on the picturesque exterior of Knebworth House, home to Victorian novelist Edward Bulwer Lytton. Set against a summer sunset or the orange glow of an autumn sky, there are fantastic architectural shots to be taken of period features and intricate detailing. While photography isn’t permitted inside the house, you do have 28 acres of formal gardens to explore, which over this summer hosts a fine display of African sculpture. Venture past quaint cottages, discover a beautiful ruined church and walk through unspoilt countryside in this gorgeous village. With a vast expanse of sky and wildlife in abundance, this is also a great place to set up long exposures and soak up the day. While there, make sure you explore the striking New St Lawrence Church. Accessed via a footpath, it looks remarkably Greek. Also in Ayot St Lawrence is Herts’ only National Trust property. Home of the great playwright George Bernard Shaw, visitors can explore his home and gardens, and get to know the man behind the wit. A great family day out, you’ll find plenty to photograph both inside and out with collections of curios and beautifully kept borders. A firm favourite of mine in late summer and autumn, this award-winning garden in London Colney near St Albans (left) bursts with magnificent colour, form and texture. Enjoyed best as the sun is setting, pack your photography kit and park in the adjoining field – if you’re lucky you might get the place to yourself! Arrive a little earlier, and with more than enough nooks and crannies to explore, it’s easy to spend a whole day here. 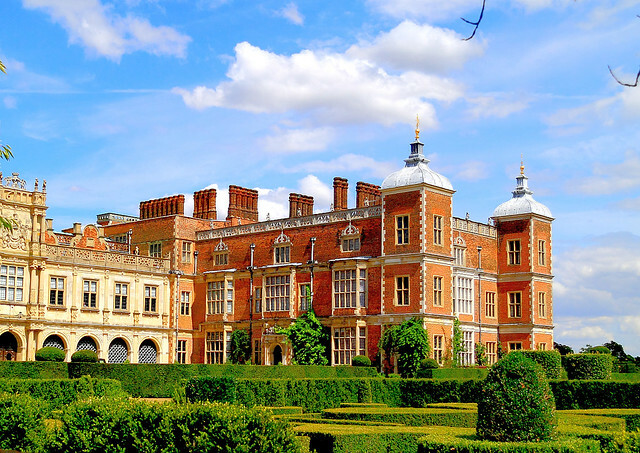 Head to this grand estate near Tring for your fix of autumn colour. You can get thoroughly lost in the woods (right) and maybe spot a deer or two. Keep going along the road to Ivinghoe Beacon, park up, and walk to the top of the hill for a sweeping panorama of the Chilterns. Keep an eye fixed on the sky for birds of prey gliding on the wind as they hunt. Walking boots are a must. 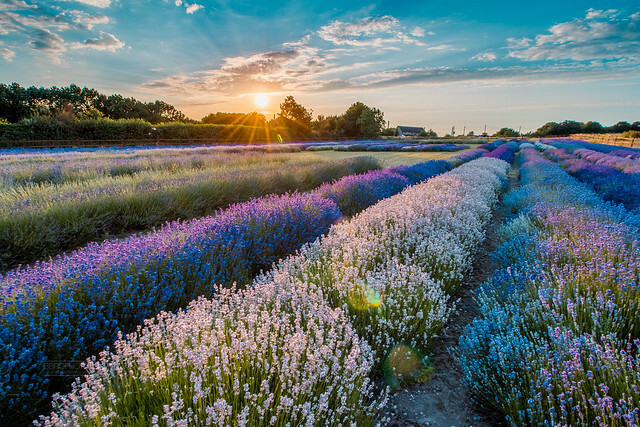 With an international reputation, Hitchin Lavender in Ickleford not only displays stunning varieties of lavender, but also poppies, sunflowers and wildflowers too. There are incredible shots to be taken of rolling purple hills. You want to aim for either the start or end of the day to miss the crowds. Flowering season ends in August, so keep an eye out for the late opening nights and you might even catch the sunset.